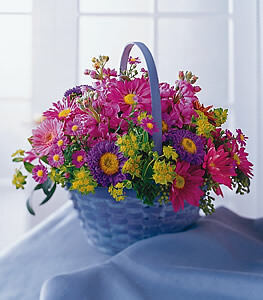 This handled basket holds a full spectrum of purple flowers. Lavender mini gerbera daisies and stock mix with purple asters and daisy pompons. A touch of seeded eucalyptus adds texture and fragrance.